﻿ Soy Face Exfoliant Review: Does It Work And Give You The Best Results? This Soy Face Exfoliant review will provide you with the information you need to determine whether or not this naturally exfoliating skincare treatment can really sweep away dead skin and other pore-clogging impurities and promote skin cell turnover. 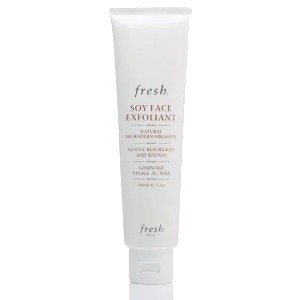 Fresh Soy Face Exfoliant uses natural exfoliating ingredients to remove surface impurities. For best results, Fresh recommends beginning your skincare regimen by cleansing your skin with their Soy Face Cleanser. Next, follow up with Fresh Soy Face Exfoliant. 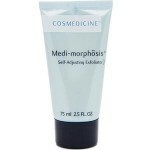 Apply this product to your damp skin and massage the product in small, circular motions for up to 30 seconds. Rinse the product away and follow up with your preferred moisturizer. You may use this scrub up to three times per week, depending on your skin’s needs. Fresh Soy Face Exfoliant appears to have been discontinued and is no longer available on any reputable skincare retailer websites. Jojoba, Rose Hip, and Cucumber Seeds: These ingredients work together to gently remove dead skin and surface impurities. Soy Proteins: These ingredients are intended to revive and revitalize the skin. Vitamin E: This ingredient is intended to protect the skin against environmental aggressors and soften your complexion. Fresh is a well-known, trusted skincare brand. This skincare treatment exfoliates away surface impurities to reveal smoother, softer skin. 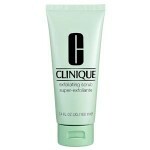 This cleanser promotes skin cell turnover. 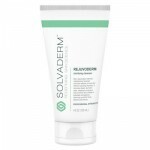 This product appears to have been discontinued or reformulated, and is no longer available in this original form on any reputable skincare websites. 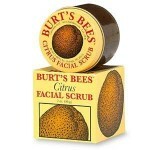 Customers claim this scrub does not provide adequate exfoliating benefits. Customer reviews of this skincare treatment are quite inconsistent. Fresh Soy Face Exfoliant claims that it can gently remove surface impurities and dead skin, leaving you with smoother and softer looking skin. Although this may sound like the perfect scrub for your sensitive skin, there are several issues we think you should consider before purchasing. First of all, this product appears to have been discontinued or reformulated. Either way, it’s no longer available on any reputable skincare retailer websites in its original form. Be aware that if you do find this product online or in stores it could be expired or may have been tampered with. Additionally, customer reviews are all over the board and are quite inconsistent. Some customers with skin sensitivities claim this product burned upon application, while others claim this scrub did nothing at all. Some customers claim they experienced breakouts, while others felt their skin experienced little to no change. Overall, we’d strongly recommend continuing your search for an exfoliating cleanser that can remove dead skin, without causing adverse reactions. Fresh Soy Face Exfoliant appears to have been discontinued and/or reformulated and is no longer available in its original form on any reputable skincare websites. If you do manage to find this product online, be sure to contact the individual distributor to determine whether or not this skincare treatment comes with any sort of money back guarantee or exchange policy.